According to Forrester Research, Exceptional Customer Service in 2016 demands customer obsession. Unfortunately, most High Tech companies approach customer service management backwards today – starting with reactive, ticket-oriented Customer Service Management (CSM) systems rather than comprehensive, interconnected data management. There’s a better way! Join Acorio’s Director of Product & Innovation, Adam Mason, as he leads an expert panel to demystify CSM and breaks down the right way to approach your ServiceNow CSM technology. 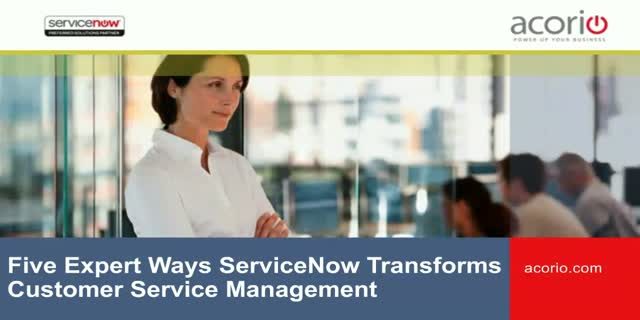 Join the best in the ServiceNow business as our experts show you how to make your CSM process a simple, well-oiled machine.